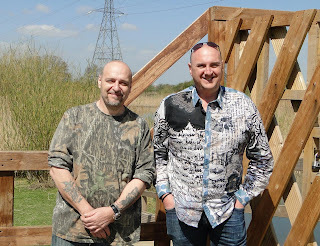 Gary Weaving, a Worcester Park Police Community Support Officer, is just about ready to launch a major youth and community engagement initiative for fishing which he has set up in at Mayflower Park in The Hamptons. PCSO Weaving’s vision five year ago was for a vibrant wetland area where local school children could learn to fish as well as learning to look after their environment. Working in his spare time, and with the help of a highly motivated committee of dedicated local residents, PCSO Weaving has brought his vision to life and is due to launch it in time for the summer holidays. 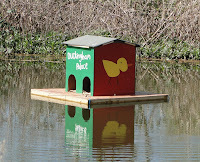 Constructing seven pondside fishing platforms around the largest pond amid the reeds. Built a footbridge, lockable entrance gate and ramp down to the bank so wheelchair users can access the first of the seven fishing platforms. 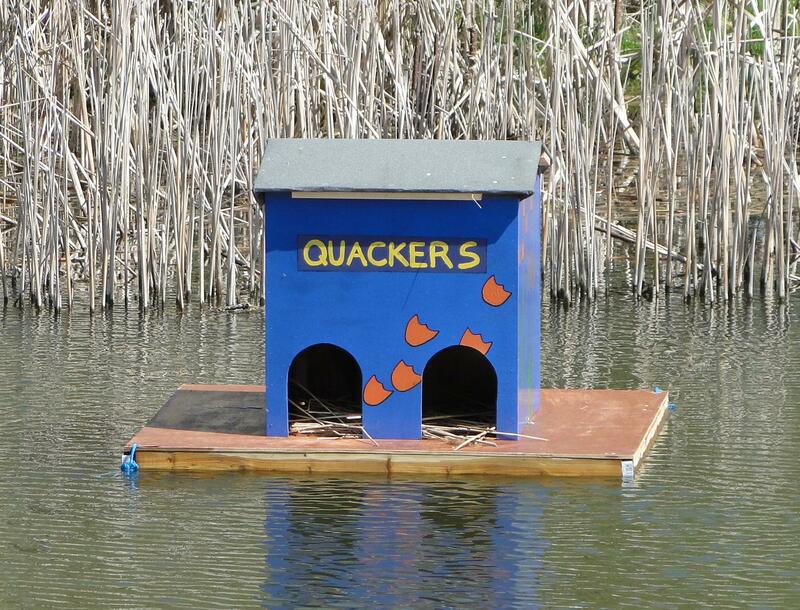 PCSO Weaving has also involved the children from local Green Lane Primary school in designing 4 duck houses for the ponds. The children were asked to come up with designs and 4 were selected from a total of 60 entries with each age group being represented. 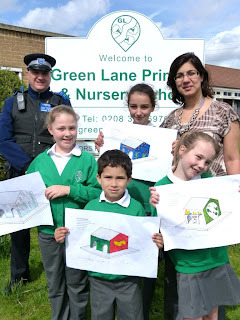 To cover costs, the children paid £1 per entry, the school’s parent teacher association donated money and Onslow Motors, of Green Lane, Worcester Park, donated £100 to support the project. Maha Shaikh, science co-ordinator at Green Lane Primary School, said this has been a cross-curriculum event as the school has been working towards a primary science quality mark and an eco award - with the pupils’ winning designs being built and painted for the benefit of the local community. “I thought the designs were superb. 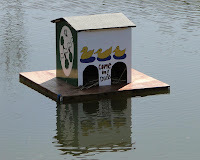 I squealed with delight when I saw the finished duck houses which had brought the pupils’ designs to life,” she said. 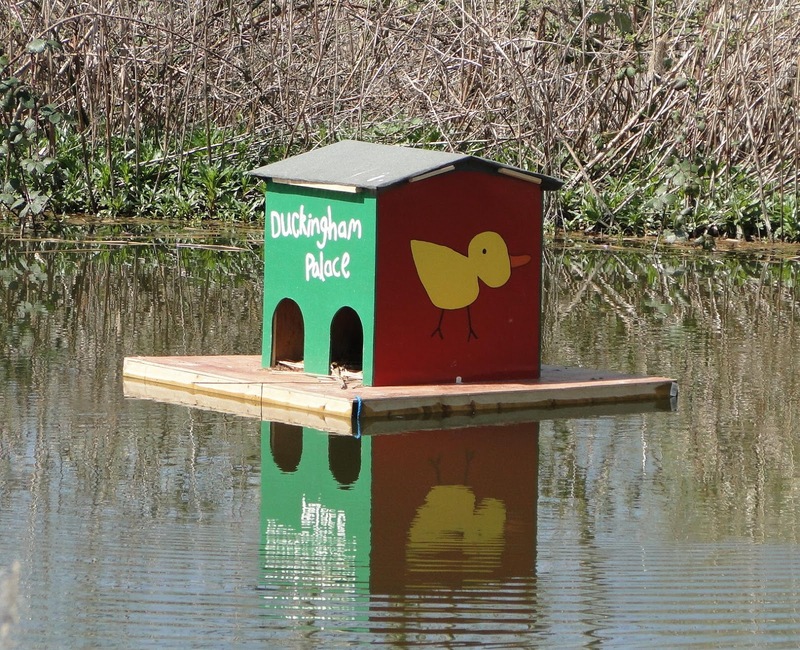 Duckingham Palace, one of duck houses is already housing some nesting birds and it is hoped they will encourage the ducks to raise more ducklings to maturity by offering a valuable refuge from predators. PCSO Weaving will be giving the year 5 students at Green Lane Primary free angling lessons during the summer holidays and plans to extend this to the three other local primary schools (Dorchester, St. Cecilias and Cheam Common Junior) to make angling tuition and environmental awareness available to all local children. PCSO Weaving said he wanted to start with year 5 rather than year 6 students so there was scope to continue with the same students the following year. Other fishing would be restricted to local residents of The Hamptons and organised through a booking system. Apart from the supervised children, only four people would be allowed to fish as any one time and caught fish must be returned safely to the water afterwards. 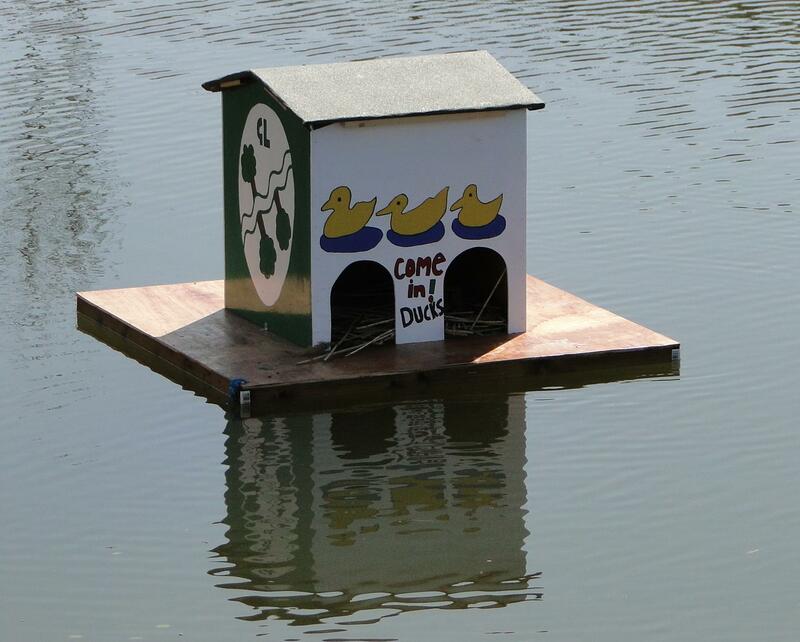 Free tuition will be available if required to anyone fishing for the first time. The Hamptons estate will be leafleted to make residents aware of when the online booking system is available, what the charges and rules are, and when the fishery is open. Anyone over 12-years-old will still be required to obtain an Environment Agency rod licence. Other organisations have helped too: Cheam Angling in London Road has supplied six complete sets of fishing kits at greatly reduced cost (including nets and unhooking mats). 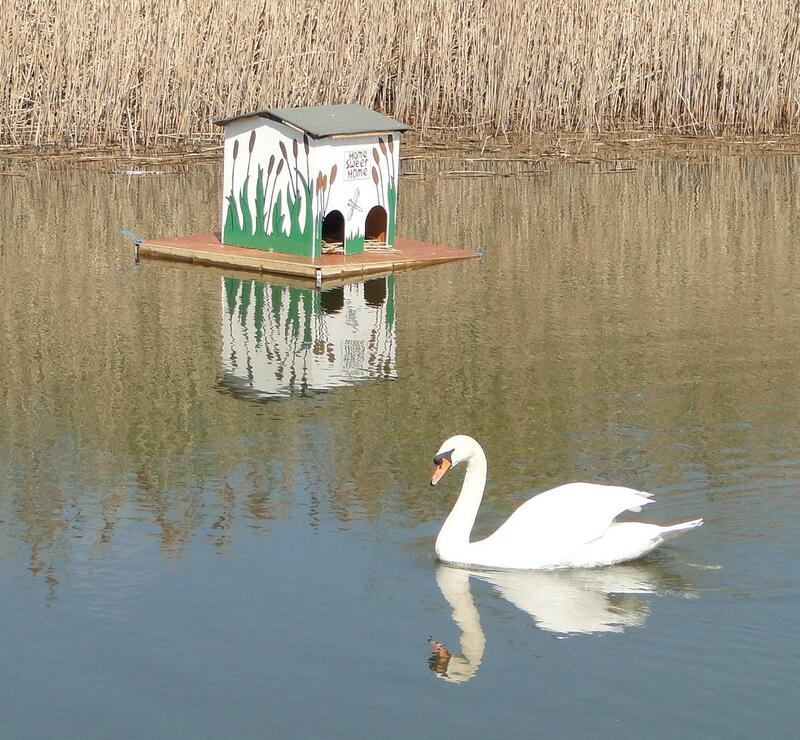 And the Environment Agency conducted a free survey of the waters and also supplied 500 young fish free of charge. 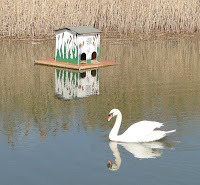 By stocking and managing the ponds properly, it is hoped the growing fish population will also provide a valuable food source and attract more bird species. 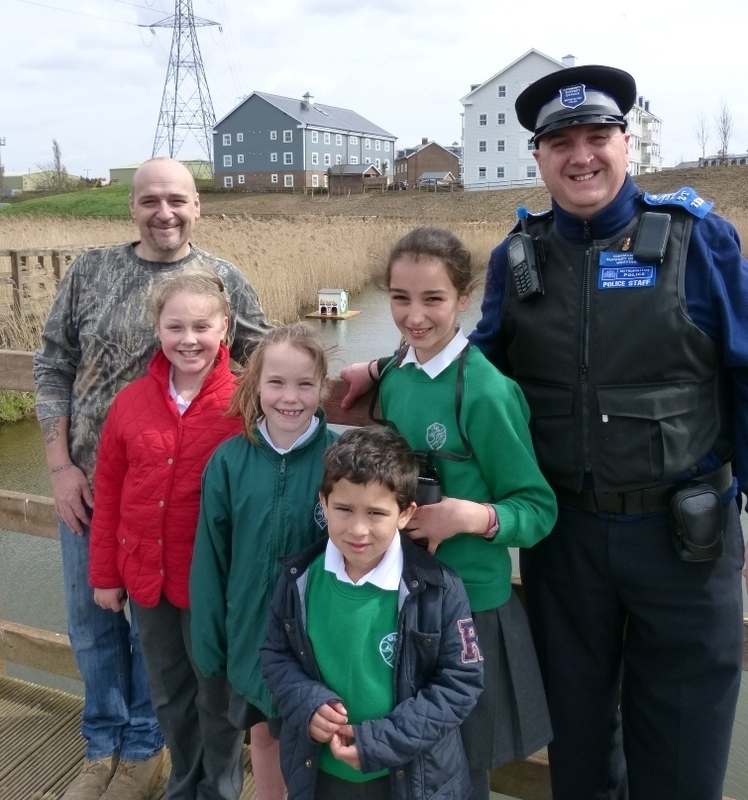 PCSO Weaving said he believes that the greater adult presence created as part of the project will help to deter some of the problems caused by anti-social behaviour and criminal damage along the boardwalk, which services the wetlands. Past problems have included graffiti, broken rails along the boardwalk, young trees being broken and discarded bottles and other litter - along with young people gathering to drink. PCSO Weaving said: “With people fishing on a regular basis, we hope the initiative will police itself, although I will be regularly visiting the area as part of my patrols. It’s a great opportunity to bring fishing to young people who haven’t tried it before, and to help them learn and care about the environment and to respect the wildlife in this idyllic sanctuary. 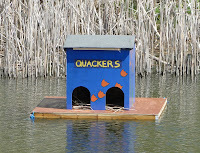 The Worcester Park Blog salutes PCSO Gary Weaving. I think it is people like him and everyone who has got behind this initiative that help make this such a wonderful area.